One last hurrah before the summer break comes to an end and students make their way off/back to campus! 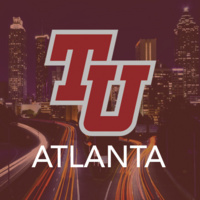 Head over to PURE taqueria® to reacquaint with your fellow classmates and make some connections with the Hotlanta alumni! Parents of Trinity students are welcome, too. We’ll be meeting at the ground level outdoor seating/veranda on August 14th at 6:30 p.m., so pencil it on your calendar! Register online to let us know you're coming! "Like" the Atlanta Alumni Facebook page to keep in touch with your fellow alumni! Questions? Contact event chair Sean Park '94 at sean@seanpark.com or the Alumni Relations Office at 888-994-8404 or alumni@trinity.edu.